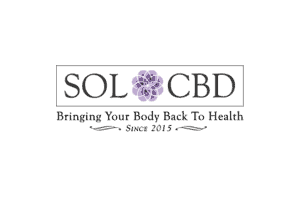 CBD Oil Review rates Harmony with three stars because it qualifies for the Quality, Mission & Innovation Badges. 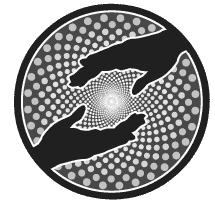 As their name suggests, Harmony is interested in making the world a better place, and they intend to accomplish this through proliferating cannabinoid products to the masses at an affordable cost. Their business model reflects their expansive mindset as does their international, forward-thinking team. Meet the self-proclaimed hemp pioneers determined to eliminate barriers and improve lives across the globe. Harmony is a European powerhouse with offices in London, Barcelona, and Prague. Founder and CEO Antonin Cohen started the business upon a sense of urgency he felt to provide the world with quality cannabinoid products. This sense of urgency was prompted by his extensive knowledge in the field, having co-created France’s first nonprofit dedicated to cannabis scientific research. The diverse Harmony team now includes 25 members from 12 different nationalities, and from what we can tell, their company culture is very positive and inclusive. The actual hemp used in Harmony’s products is grown on EU-certified family farms. It is then CO2 extracted and combined with terpenes to formulate e-liquids featured in their product line. In addition to consumer products, Harmony engages in product distribution, working with over 620 European retailers. They also offer lab services to aid other businesses, and their CBD pharmaceuticals wing is developing pharmaceutical-grade products they hope to be approved by the FDA and European Medicines Agency for widespread administration. Harmony’s product line is primarily geared toward vaping. We like that they use no artificial flavoring, but rather create flavors with terpenes, adding the benefits of the entourage effect to the vape experience. 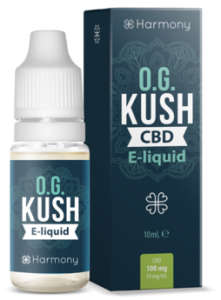 They offer eight varieties of e-liquids that include CBD crystals, PG, VG, and terpenes. 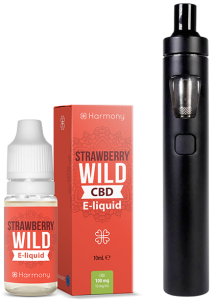 Harmony sells an affordable, disposable vape pen plus starter kits that contain their e-liquid cartridges and an apparatus produced by Joyetech eGO AIO. Finally, they offer pure CBD crystals that can be used in a variety of applications. Unfortunately, Harmony does not publish their test results, but they do encourage the customer to reach out to them for this information. Because of our stringent standards on this, we could not award the Safety Badge. 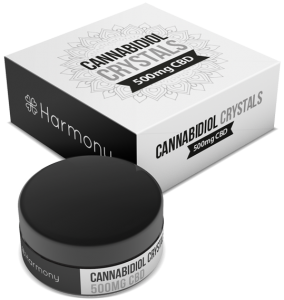 The stated goal behind Harmony’s business practices is to proliferate affordable CBD access. We see them doing this in their business model which touches various facets of the industry. However, we find no evidence of direct charitable activities such as offering certain discounts or donating to nonprofit organizations. Bottom Line – Harmony is an innovative and interesting company with its sights set on expanding CBD across Europe and the globe. While they exhibit a genuine ethos, quality products, and sound practices, we cannot afford the Safety Badge due to a lack of readily available test results. Harmony sources EU-certified hemp and utilizes CO2 extraction. No artificial flavors are used in their vape products. Harmony is on a mission to expand affordable access to hemp via science, nature, and business. Harmony is currently involved in developing cannabis pharmaceuticals and are seeking the approval of regulatory boards in different countries for widespread distribution.